The parking garage is located across from the Willis Tower on Franklin Street. Convenient, but not cheap -- expect to spend upwards of $25 on parking. March through September from 9 a.m.-10 p.m.
October through February from 10 a.m.-8 p.m. Built in 1973 as the Sears Tower (renamed the Willis Tower in 2009 at the dismay of many locals), it held the title of the world's tallest building for 25 years. It lost that designation in 1998, but unless you're taking a little trip to Taipei or Kuala Lampur any time soon, the Willis Tower is certainly the tallest skyscraper you're likely to visit. But regardless of its architectural stature, there's one thing without a doubt -- the Willis Tower Skydeck offers the best and most amazing views in Chicago. On a crystal clear day, you can see into four states -- Illinois, Indiana, Michigan and Wisconsin -- as the range of view is 40 - 50 miles (65 - 80 kilometers). It's absolutely breathtaking. Do you remember the first time you looked out the window of an airplane, and your mind could hardly process the idea that you were that far up in the sky? The Skydeck is a similar experience. If you truly want a bird's eye view (actually, I don't even know if birds get up that high!) 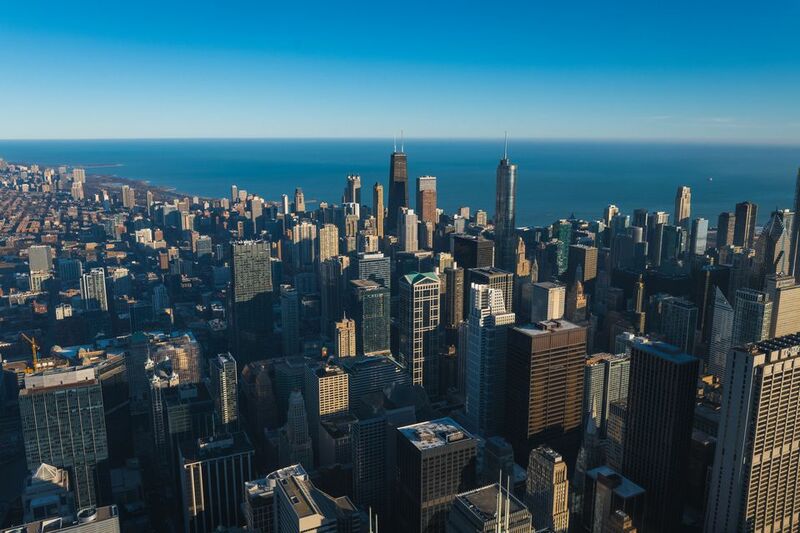 of the Chicagoland area, then pay a visit to the Willis Tower Skydeck, you won't regret it. Visitors may enjoy breakfast or Chicago-style, deep dish pizza as Skydeck and Giordano’s team up for a casual dining experience at the highest level. Guests may book reservations (two days in advance is required) for breakfast or a deep-dish pizza dinner on The Ledge, a series of glass bays that extend from Willis Tower’s 103rd floor. From two diners up to eight, the experience also includes VIP access to Skydeck Chicago. The Skydeck is only two minutes away from trendy dining neighborhood West Loop. There are many, many options to choose from, including burgers, pizza, Mexican cuisine and fine dining.